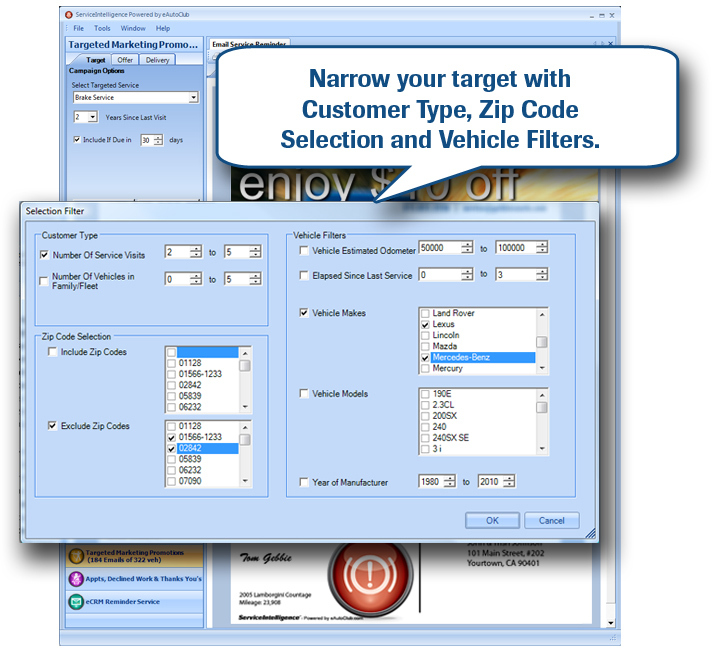 Next, target your own customers with special service promotions from 25 service categories. Here we are selecting Brake Service. 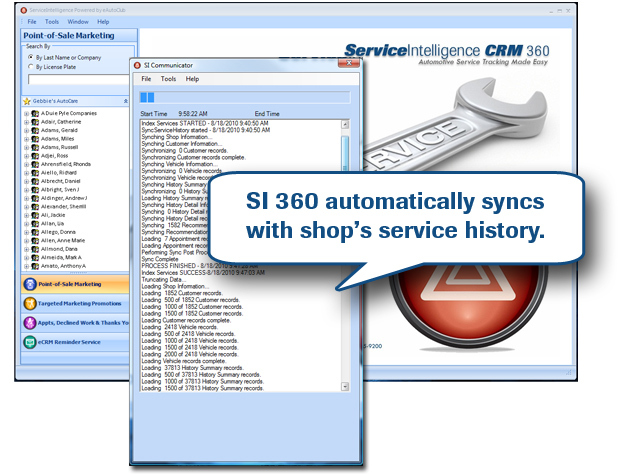 You have total control of CRM 360 even though it is totally automated. 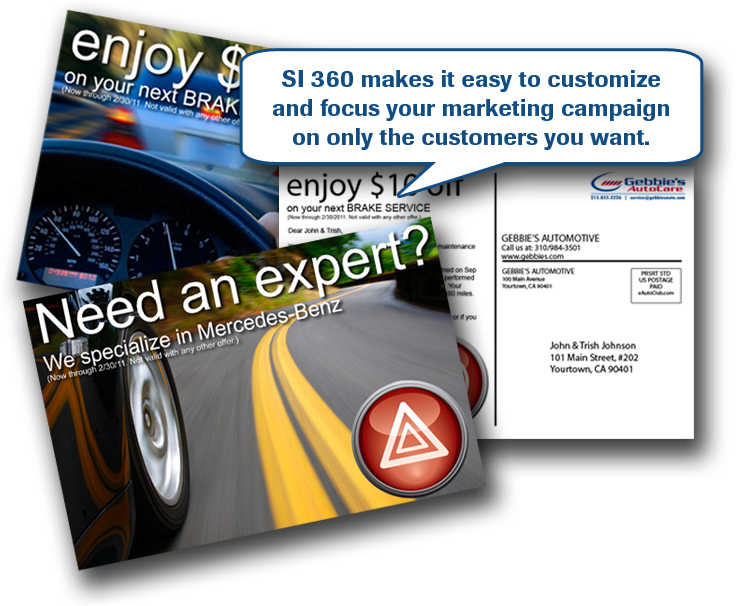 Customize image, logo, offers, target list, etc. 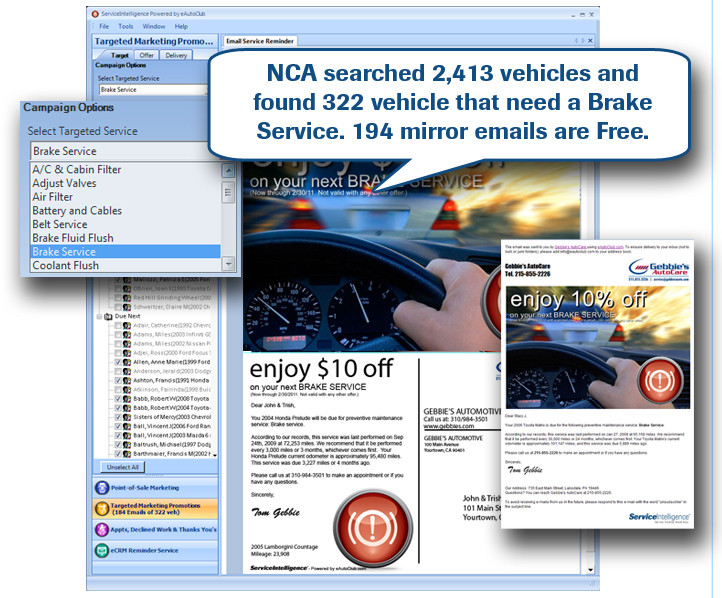 Optionally, you can send custom postcards to drivers you want living near your shop based on Year, Make , Model, Mileage, etc.